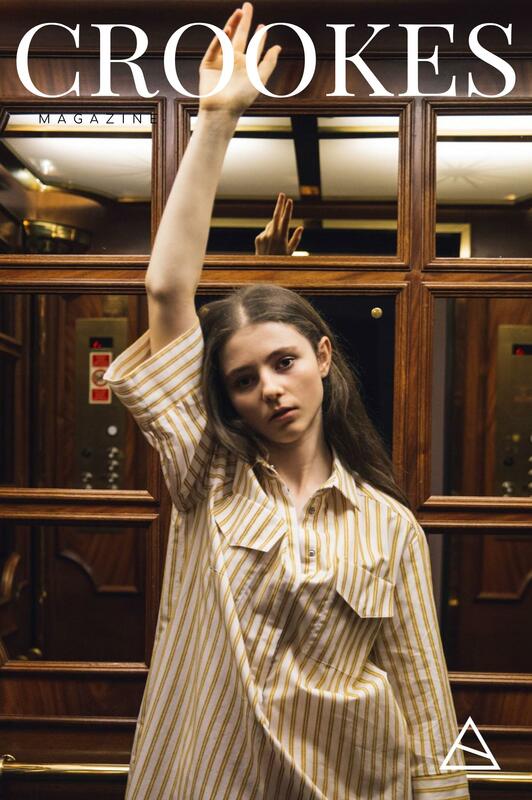 THOMASIN McKENZIE has been travelling around the world, attending some of the most prestigious film festivals to promote her latest project ‘Leave No Trace’. Thomasin first hit the big screen just four years ago, in the epic fantasy ‘The Hobbit: The Battle of the Five Armies’ – filmed in her home country of New Zealand. Now in her third feature – Thomasin is receiving critical acclaim for her performance in ‘Leave No Trace’. The film follows a father and his thirteen-year-old daughter (portrayed by Ben Foster and Thomasin respectively) who are living an isolated existence, off the grid, in a vast urban park in Portland, Oregon. When a small mistake derails their lives forever, they are both put into social services. After clashing with their new surroundings, they set off back to their wild homeland. Thomasin is currently filming Netflix’s ‘The King’ alongside Timothée Chalamet who portrays the titular figure of King Henry V. She will star as his younger sister Philippa of England. 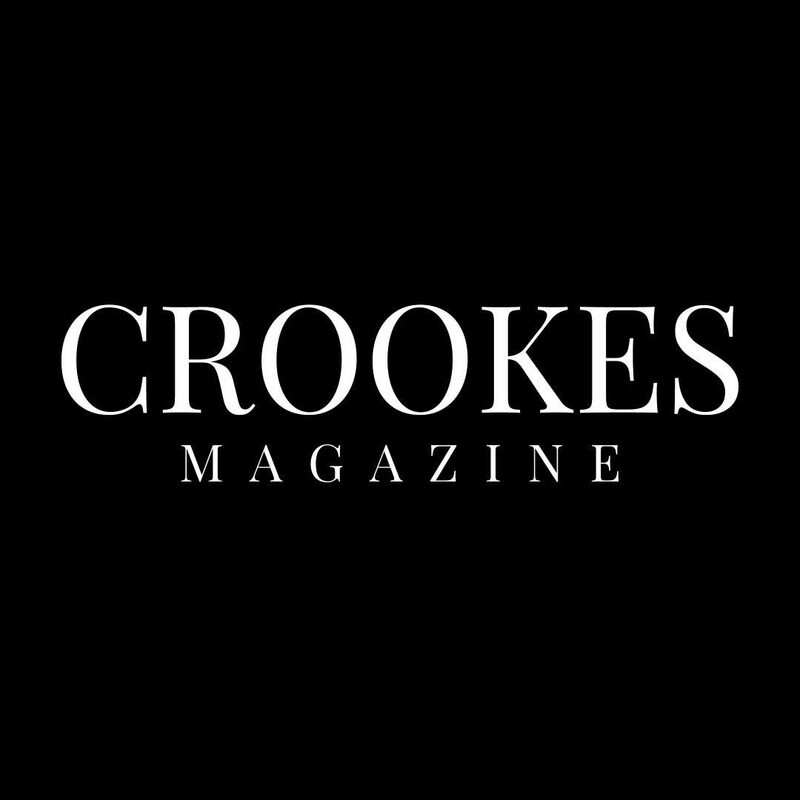 CROOKES Magazine met Thomasin in mid-festival flow at the Czech Republic’s luxurious Grandhotel Pupp for a photoshoot. 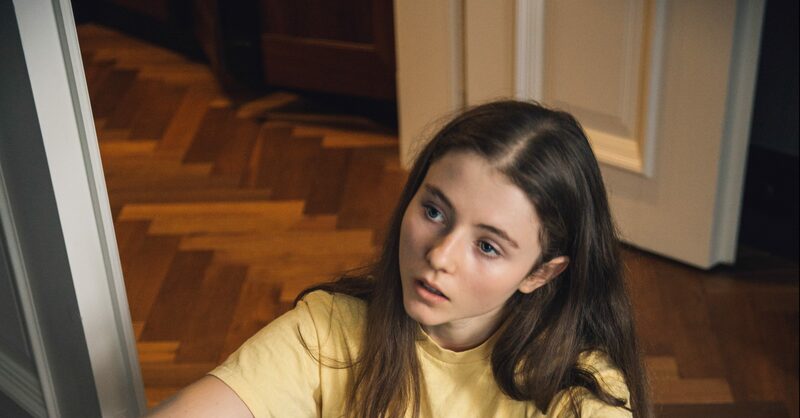 We spoke to Thomasin McKenzie about ‘Leave No Trace’, her preparation for the role and growing up in New Zealand. AC: Leave No Trace’ is receiving mountains of praise – how much of a surprise has this been? THOMASIN: It has been a big surprise as it is a quiet art house film, not a blockbustery kind of film at all. But of course Debra directed ‘Winter’s Bone’ which made a big splash so I think we all knew that people would be interested to see what she came up with next. The film has hit a nerve with the way things are in the world right now. Audiences and critics have been very moved by it. I guess it is a surprise to see just how many people are hungry for this kind of story. You’ve been travelling around the world, showing this film at festivals – what has that experience been like? Is there anything that’s particularly surprise you about film festivals? Yes! The variation there is in the length of the red carpets! Sometimes they are miles long and sometimes they are just a rug! My parents showed me ‘Winters Bone’ as a treat after I had played a very intense role in a TV film. I never imagined that a couple of years later I would be at Cannes Directors Fortnight and at Sundance with an amazing film directed by Debar Granik, standing next to Ben Foster. How did you and Ben Foster go about building the father-daughter dynamic between your characters? Debra had brought on-board Wilderness Survival Skills expert, Nicole Apelian. She was so amazing, she set up a challenge for Ben to build a workable shelter like the one he builds in the film. Then I arrived on day one of rehearsal and the first thing I had to do was try it out. This meant right from the start we had a relationship of trust build on active skills. We learnt to make fire, to collect water, to hide in the ferns. We rehearsed and build out relationship in the environment of the characters and that made a huge difference. We also used the traditional Maori greeting called Hongi. The indigenous people of New Zealand, the Maori touch noses and share breath. I think the Inuit people do this too. It is a great way to connect. What was Debra Granik like to work with? Of course she is amazing. She is a truly good human and that makes her a really good director. She has such an instinct for truth and subtly. She is very committed to using real people to play roles in her films and that means the actors have to really dial down any acting! The beekeeper is a real beekeeper. The truck driver is a real truck driver. Those knives really are sharp. She creates an environment where rather than acting, being is required. What was it like filming in that forest? Are you an outdoors person? Yes I really am and I think that is part of why Debra cast me in this role. As my preparation to play the role of Tom when I was still in New Zealand – I went to a forest called Adrenaline Forest and practiced tree-climbing. There is a beautiful track around where I live on the South Coast of the North Island of New Zealand, called Te Raekaihau Point and most days I run around there with my dog Totoro. I bet there’s some great forests as well back in New Zealand? Yeah! We have primordial forests in New Zealand, we have indigenous plants and trees like the massive Kauri tree. People love to come to New Zealand to visit the untouched bush and forests. 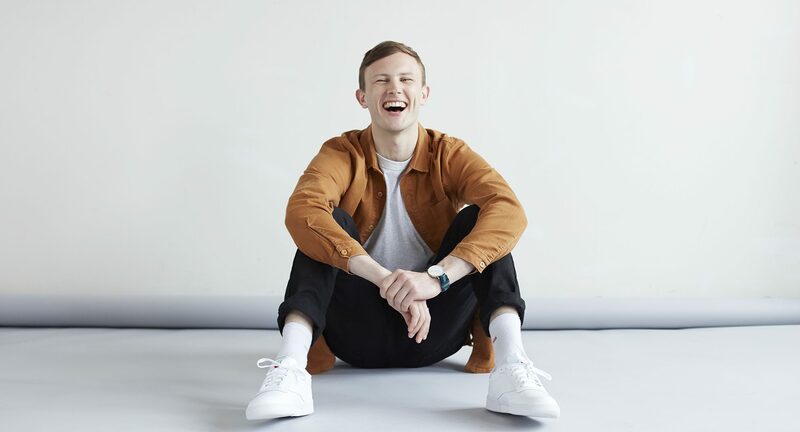 Care for the environment is a central part of what it is to be a New Zealander and I felt very at-home on-set in the Portland parkland. Did New Zealand feel like a world away when you were in America filming? Well it really was half a world away. It takes nineteen and a half hours to fly from my hometown Wellington to Portland. New Zealand is the first country in the world to see the sun so we kind of live in the future! Debra asked me to go off social media in rehearsals and that kind of just continued into the shooting of the film so I really was cut off from my family and friends during the making of the film. That isolation fed into the nature of the film and the relationships you see. Many people won’t know that your grandmother is Dame Kate Harcourt – has she been sharing any acting tips? My grandmother lives with us, she and I share an apartment downstairs and upstairs is the rest of the family, my sister and brother and mum and dad. Grandma Kate was one of the first professional actresses in our country. She has committed her life to advancing the performing arts on stage and screen. She is 91 and she has just starred in another short film so she really gives me something to aim for in terms of a long career of rewarding work! She says hard work and curiosity are important qualities for an actor. Which other New Zealand-born actors do you look up to? Other New Zealand actors of my generation are KJ Apa, Rose McIver and Frankie Adams. We all know each other because it is such a small country. I really look up to Rose because when she played Linsday Salmon in ‘The Lovely Bones’, my mum was the acting coach on the film and we all moved to Philadelphia for three months. Rose was very lovely to me and I have always looked up to her and been grateful. Is the acting culture slightly different there? That is a hard question. There are only 4.5 million people in our whole country so the industry there is a tough environment. Everyone has to do something else as well, you can’t really be a full time actor. I think that means that New Zealand actors have a very naturalistic human quality as we are well-rounded people. As press for ‘Leave No Trace’ begins to finish, what do you have coming up? Right now I am in Prague in the Czech Republic finishing the shoot for Taika Waititi’s film Jojo Rabbit. It has been amazing, could not have been more different to shooting in the forest with Ben on Leave No Trace! There are heaps of people around and I have many different acting partners from eleven year old Roman Griffin Davies to Scarlet Johanssen. Next I will go to Melbourne to shoot ‘The True History of the Kelly Gang’. I love the diverse challenges I have coming up!